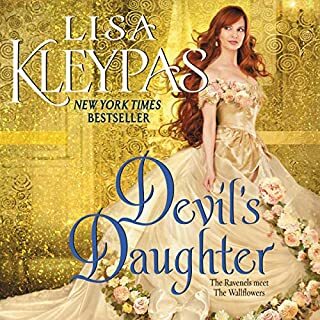 Seeking a wealthy American bride who can save his family’s estate, Brandon Fiennes, the duke of Kingston, is a rogue determined to do the right thing. But his search for an heiress goes deliciously awry when an enchanting seamstress tumbles into his arms instead. Miss Adeline Black aspires to be a fashionable dressmaker - not a duchess - and not even an impossibly seductive duke will distract her. But Kingston makes an offer she can’t refuse: join him at society events to display her gowns and advise him on which heiresses are duchess material. Joanna Shupe returns to New York City’s Gilded Age, where fortunes and reputations are gained and lost with ease - and love can blossom from the most unlikely charade. Oliver Hawkes reluctantly agrees to a platonic marriage...with his own condition: The marriage must end after one year. Not only does Oliver face challenges that are certain to make life as his wife difficult, but more importantly, he refuses to be distracted from his life’s work - the development of a revolutionary device that could transform thousands of lives, including his own. Much to his surprise, his bride is more beguiling than he imagined. When temptation burns hot between them, they realize they must overcome their own secrets and doubts and every effort to undermine their marriage, because one year can never be enough. It's amazing how much damage a bad narrator can do. 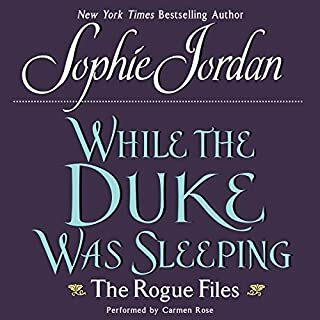 The narrator for this audiobook, Carmen Rose has a weird musical way of finishing each phrase and sentence exactly the same. It is, in fact, musical, but so distracting that it's hard to concentrate on the story line. This was essentially a Marriage of Convenience, which is a favorite trope of mine. Deaf millionaire Oliver Hawkes marries Lady Christina Barclay to save her from her money-grubbing parents and a really horrible octogenarian "groom." I enjoyed it, but wasn't drawn into the story as much as I should've been because of the bad narration.